Click the button below to add the TIN TACKER, 18" X 9" to your wish list. 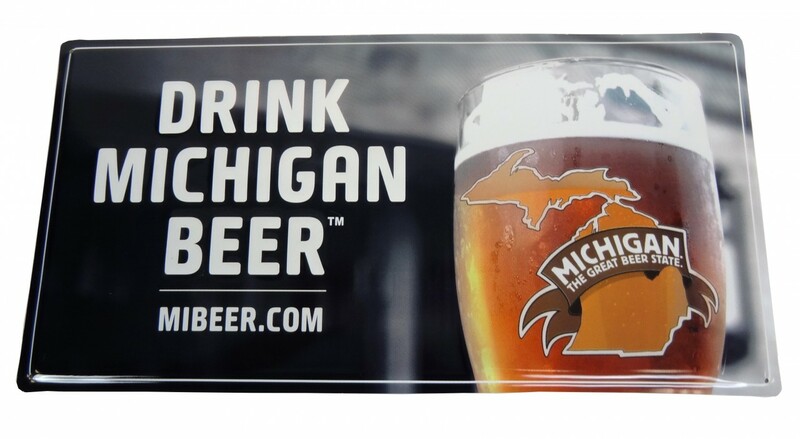 Tin Tacker, 18" x 9" alumiuim featuring the full color "DRINK MICHIGAN BEER" logo. Each corner is rounded with a hole for hanging.